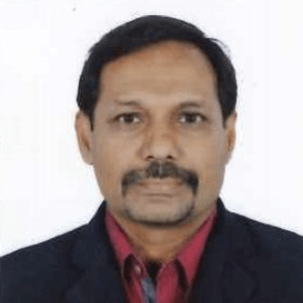 Inbarajan is a Logistics & Supply Chain practitioner with close to thirty five years’ experience in end to end logistics and supply chain management. He has worked holding senior positions in manufacturing environment both consumer and industrial goods, third party related logistics including retail logistics port operations and plantation. Some of his assignments include global Multi-National Companies such as Henkel (Cognis Oleochemcials), Panasonic, Heineken and local conglomerates such as Sime Darby and Northport. His areas of expertise includes designing logistics network, strategic planning and setting up of supply chain and logistics operations requirements in both startup and existing business. On functional areas he has covered Sales & Operations Planning, Procurement, Warehousing & Distribution, Cost to Serve, Cross Border & International Shipping and Customer Service. He has worked and consulted in Central Asia & South East Asia and West Africa in startup pioneer operations. He is a regular speaker at international conference and has conducted in house and public training programs for companies and various industry associations. He is a part time lecturer for Logistics program both undergraduate and Postgraduate with local universities. He holds a MBA (Logistics) from RMIT University, Australia and a Professional Degree in Logistics & Transport, UK. He is a corporate member of The Chartered Institute of Logistics & Transport, UK.